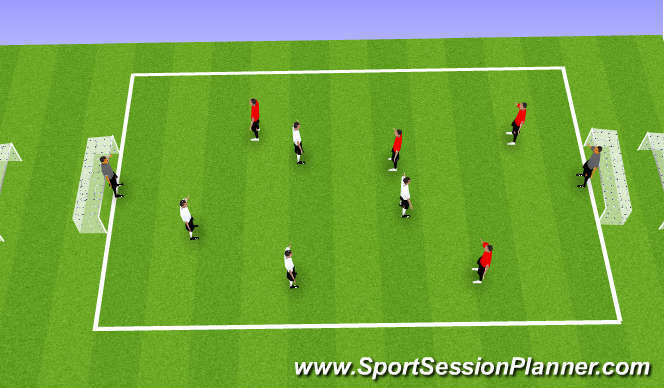 Player A has to dribble to opposite end line, beating defender. Encourage skill moves to beat defending player. S plays the ball into the space. X goes, followed by O and the game begins. 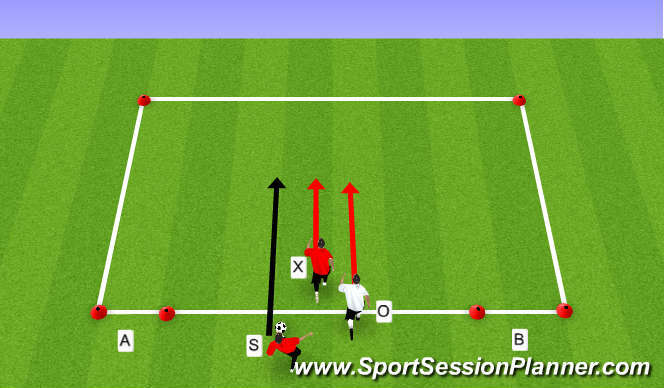 O passes to X and defends A + B. X attacks A or B to start with, introduce goal C later on in the session. 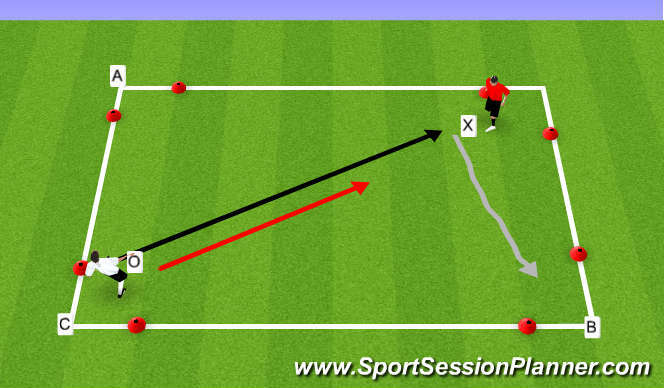 Finish with 4 v 4 (and Keepers) game, encouraging players to beat opponent defenders using moves stressed in session.